In my experience of working with people with type 2 diabetes for many years one of the most crucial elements of success is support, accountability and frankly, knowing that someone is in their corner. It’s also about having someone to answer questions, point you in the right direction and share in simple language all of the new science that is constantly emerging. For diabetes reversal you need to know the best nutrition and lifestyle science. And let’s be honest; the magic happens outside of your comfort zone so having support to create your magic is what makes all the difference. There will be a phenomenal variety of topics covered. I want to make this program as comprehensive and valuable as possible. 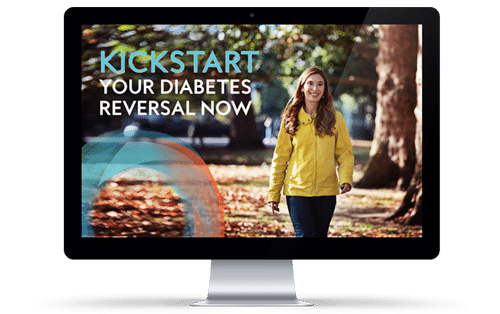 You will learn not only about successfully managing your insulin resistance/pre-diabetes/diabetes but also how to apply health lessons to other areas of your life and upgrade your overall lifestyle. Do I have to follow a specific type of diet? I’m not Overweight, will this program help me? Up to 20% of people that have out of range blood sugars are normal weight. The exact same principals will apply. The likelihood is that you have some internal fat that needs to go but even if you don’t you will benefit very much from the program. And if you want to create new eating and healthy lifestyle habits this is the place to be. It’s in my genes so can I ever get away from Diabetes? I have a really healthy diet already, what can you do for me? All of us (myself included) can always do with an upgrade to our diets. Sometimes we are following an eating plan that despite being healthy and clinically approved, can still have a negative effect on our blood sugar. You will understand how that can be when you do this program. Also there may be other factors that are causing your issues, not necessarily food. My doctor never mentioned stress or sleep as being part of the issue, why are you covering this? Most doctors only have the time to discuss diet or weight loss and encourage patients to exercise, all which is hugely important. However, stress hormones can have a very negative impact on blood sugars. In fact most of my clients have a lot of stress in their lives. I will share many tools with you to help you eliminate all of this unwanted and unhealthy stress. Your quality and quantity of sleep can also affect your sugars, you need to know about this. Why are you including life upgrade as well as a health upgrade? Research shows that once you up-level one part of your life you will have more confidence to address other parts of your life that need addressing too. As a qualified coach I will share lots of information that will help you to improve relationships, improve your self-esteem, get that promotion or improve your income. And importantly how to be happier, more energetic and more productive. My doctor has told me I’m at higher risk of cancer, heart disease, stroke, blindness, impotence, kidney failure. Will this lower my risk of these horrible complications? Yes normalising your blood sugar definitely reduces the risk of all complications. Unfortunately most people already have some damage from having high blood sugars over a prolonged period, sometimes it can be reversed but most importantly you vastly improve your chances of it not worsening. The program is designed for people like you. All sessions will be recorded and shared in the members area. You can leave your questions in the Facebook group or email me personally and I will be sure to address your question which you can check at your convenience. Do I have to have diabetes or pre-diabetes to participate in the program? No! Many people that do not have diabetes participate in my programs. It may be someone who knows they are at risk or wants to change their lifestyle habits and be held accountable. Or you may like to do it for a loved one to find out how you can help them. Everyone is welcome as long as we all hold the same vision which is to upgrade our health. Please feel free to email me or arrange a call and I will get back to you as soon as I can. This program is designed to compliment what your doctor is doing. It is not designed to diagnose or treat any disease. All medication conversations happen with your prescriber. Everyone on the program is encouraged to share the details of your lifestyle changes with your physician. As Dr Marshall Goldsmith said “What got you here won’t get you there”. If you are interested please register here so I can get notify you with all of the details so that you get in when registration opens. If you would like to book a call to enquire more please let me know and I will be delighted to speak with you.